This winter I’m really focused on the NYC after-hours scene and production, production, production – there’s no real DJ career without original music. Definitely Burning Man 2015, where I’ll have a curatorial role besides DJing at several camps. 2. Now that you’ve performed in a number of different cities in the USA, do you have preferences? Do you think one city “gets it right?” Phoenix, AZ (period). They are totally open-minded to new sounds while giving tons of respect to the history of dance music. You can hear talented local DJs like Sean Watson, DJ Ascension, Steve Hill, etc and big touring acts like Diplo, Dillon Francis, Zedd, etc…All the pieces are there. Most local party scenes are big on “personalities”…this is nothing worse for the music. Inevitably,when the popular kids are in the DJ booth and it just becomes selfie sticks and bad bootlegs. If you want great music, ask the music nerd, not the popular kid. Phoenix respects and elevates artistic talent over personality appeal. That’s what makes it a great scene. 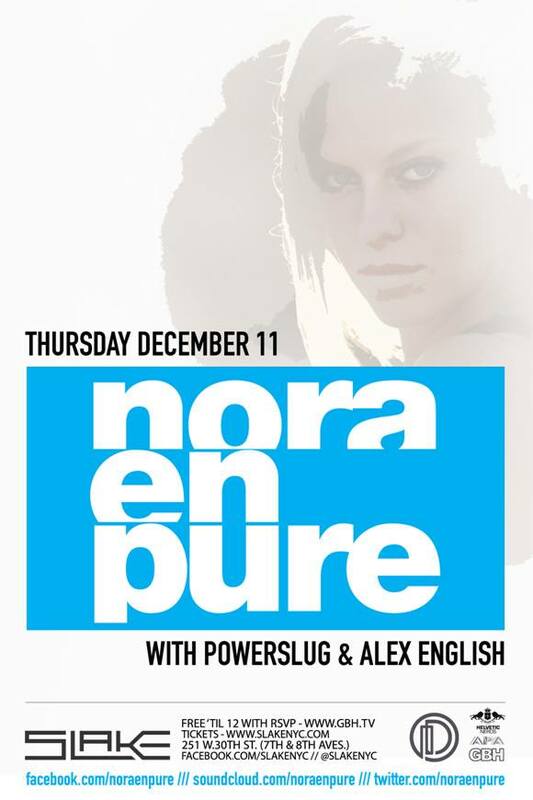 Attend: Nora En Pure Delivers For InDeep 12.11.14! My friends need to stop being awesome, cause all these Thursday night parties are killing me. InDeep has returned to NYC after the huge success of their debut event. Nora En Pure has been on the rise for a little while now and if you’re a fan of Indie Dance & Deep House, this is definitely going to be someone you need to catch. I’m always a fan of lady DJs that find their own unique sound away from what gets NERVO booked and all of that. She’s getting some backup from Alex English, a man who NYC would be noticeably less fun without. This night will be a definite surprise for the heads out in club land, so I hope you’re one of the people who gets to ask if you “were there” come Friday morning. Her latest podcast is fantastic, with superb track choices, flawless execution & really original transitions. 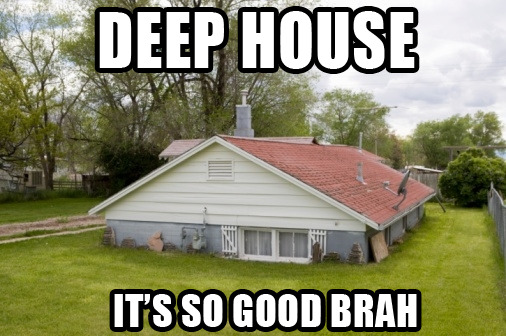 Like, sometimes I want to hear a flute solo get me from one track to another in a deep house set. Just in case you can’t wait, check out the latest InDeep Mix, ft. Vijay & Sofia Zlatko. These two have been killing it with their tracks getting picked up all over the EDM blogosphere. They’ve got another 80min of groovy, deep house for you, so between this & Nora’s mix, you’ve got almost your entire morning mapped out. Get tickets here & groove your Monday workday away, thanks to InDeep! While I’ve spoken about Kove a couple of times here on le blerg, this is the first time he’s hit my radar for house. This shift in gears for him is a stunning reminder that talent is talent, with DJs mixing it up more and more these days. This deeper, almost Chicago house offering is a fantastic re-imagining of the Zeds Dead track that’s not due out until Jan 2015. The track premiered on Annie Mac over the weekend, so I knew I needed to get it to you as quickly as possible. Kove shows that he can pull into a much groovier, funky end of the dance spectrum with this track. It’s all fun and games, especially with the pull back 90 seconds in. The build back into the groove goes without a hiccup and you’re shaking without realizing it once again soon after. Hit up the rest of Kove‘s work, especially if you’re a fan of that drum & bass sound like I am.